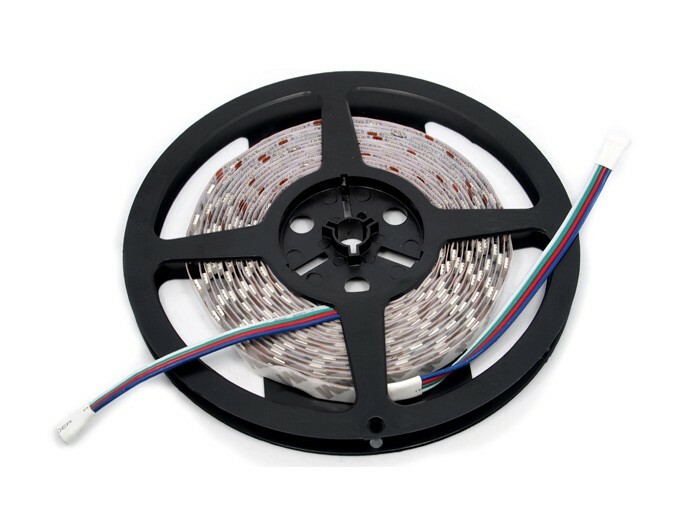 The LED strip Uses trinity-SMD LED as lighting source, low voltage with resistance and IC constant current made the shining stable, bright and uniform. FPC circuit board made it easily to bend,with aRGB Controller, you can control the color and brightness easily!Besides, self adhesive back makes it convenient to stick them to any flat surface. 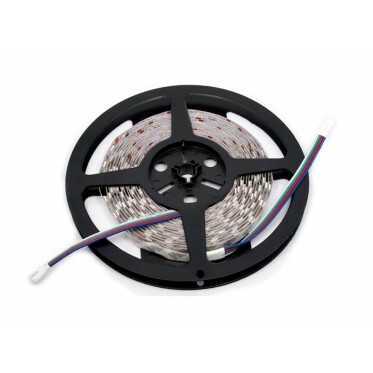 The LED strip Uses trinity-SMD LED as lighting source, low voltage with resistance and IC constant current made the shining stable, bright and uniform. FPC circuit board made it easily to bend,with aRGB Controller, you can control the color and brightness easily!Besides, self adhesive back makes it convenient to stick them to any flat surface.Five meters each roll. 10.0mm wide, 2mm thick, 50mm long per segment (3 LEDs). 0.24w per LED. Maximum 12V per strip segment. Max 1.2 Amps per meter (all LEDs lit full brightness). 3 common-anode RGB LEDs per segment, 20 segments per meter.